Island Park - 2011 WinterFest â€“ January 7th to January 9th. ISLAND PARK will celebrate its sixth annual WinterFest from Friday 7th to Sunday – 9th. Lots of cool stuff to do for the entire family …. read more . Hungry Bear is sponsoring the Wild West Sno-Cross Series which kicks off on Saturday, January 8th. - Race all three for points to win the Series Championship. - NINE different classes for all ages, skills and sleds. I've added a calender an event to BCR, as a reminder. Hope to see you there. Keep in touch if you are going ! 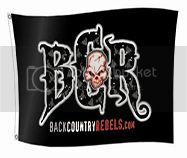 Hope to see some BCR guys and gals..